We at KPGTC provide our customers with focused solutions to their business problems. We provide innovative solutions built on products which reduce IT risk and maximize IT performance. Advice based on extensive knowledge and subject matter expertise. When skillfully implemented, legacy reengineering offers the prospect of boosting the performance of an existing system at a fraction of the cost of purchasing a completely new system. However, the prospect of modernizing a legacy system presents a daunting challenge to many organizations. They are well aware of the shortfalls of their existing systems but are reluctant to change for fear of disrupting a system that is integral to their operation or for fear of costs spiraling beyond projections. Modernizing a legacy system is not without its challenges. The legacy reengineering process includes four critical difficulties: business comprehension from program language, design recovery from architecture-degenerated software, the gap from programming to human thought, and the combination of bottom-up and top-down analysis. To manage these challenges for our clients we use a five part program comprehension framework composed of legacy code slicing, domain variable identification, data analysis, business rules representation, and verification. This framework can decrease both the quantity of resources required and overall project time. A spiral model can also be utilized to reduce the total risk of legacy system reengineering migration. In this model, a legacy system is re-engineered into new platforms iteratively, with only a part of the system being alternated and deployed in the new environment in each cycle. Since each module alteration or new requirement sub-procedure addition is performed on a reliable, stable system, the risk is significantly decreased compared to a big-bang approach. We have successfully implemented these processes during the reengineering of several legacy systems worldwide. 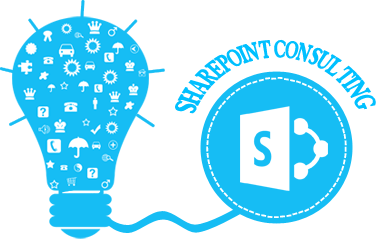 Microsoft SharePoint is an enterprise level, large scale solution for giving your business an advantage in document management and employee communication. SharePoint can provide everything from content organization to information "findability" to security policies to governance. Without the proper experienced technical guidance, these features can sometimes get out of hand. KPGTC’s certified SharePoint consultants can guide you through the proper implementation of SharePoint utilizing time tested best practices to deliver a solution that meets your specific business needs. From small companies to global enterprises, we have the knowledge and experience to implement SharePoint the right way and ensure that it continues to provide useful features, productivity, and cost benefits well into the future and throughout the growth of the organization. A well-crafted and highly utilized SharePoint implementation is only as good as its underlying infrastructure. With years of experience with every version of SharePoint, from WSS 3.0 through SharePoint 2013 and including Office 365/SharePoint Online, we know SharePoint infrastructure. Our talented infrastructure professionals can review an existing infrastructure, find and fix problems, and recommend changes. If a SharePoint infrastructure is not already in place, we can build it from the ground up, following all Microsoft best practices to ensure that it keeps running smoothly into the future. Of course, from time to time, a new version of SharePoint is released and it is time to upgrade and take advantage of all the new and exciting features the latest version has to offer. Create a state-of-the-art collaborative workplace at an affordable cost.